Driving is an adventure. The aggression and anger of “road rage” is not a foreign concept to both Christians and non-Christians alike. It is very easy to get upset if someone cuts us off, impatiently tries to pass us, drives too slow, or just generally is doing something “foolish” that we’re not a fan of. I’ve been guilty of belittling a driver of a car in my mind if I see it parked very obviously over the parking line with no cars around, and have thought to myself “learn how to park!” However, what I don’t see is whether or not other cars were previously over the line, leaving the driver no choice but to park where he/she did. In general, for people to get a drivers licence, they have to know how to park, yet we reduce them to lower-functioning beings in our minds when we simply see only the end result, despite being blind the factors involved. While facing the unpleasant situation of being stuck behind a slow car in a no-passing zone, it is not uncommon for one to think, “hey gramps! If you’re going to drive that slow you have no business being on the road – just stay at home!” I don’t think we realize how blindly judgmental, selfish, and uncaring these thoughts are. 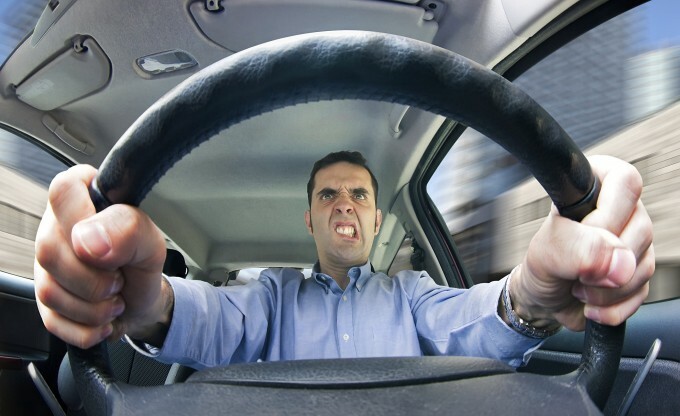 Because a driver is cautious on the road, do they deserve such anger? A car moves slow (often the speed limit actually), and we – in all of our grand importance – are filled with self-righteous anger because WE can’t fulfill our right to speed and get to OUR destination 3 minutes sooner? I have been to “third world” countries where there really are no road rules, and people just figure it out as they go. The average American would most likely not survive mentally, emotionally, or physically! Just riding in vehicles in those situations may have decreased my life expectancy! Yet the people there are used to it and don’t have the same kind of road rage as we do. Why is that? Very good article Corbin! I can see myself in some of the situations you have depicted. I appreciate the scriptures you shared and the wisdom that they impart. Keep up the good work!